A 3D model of a common earth retaining structure is used as a visual during this lecture. 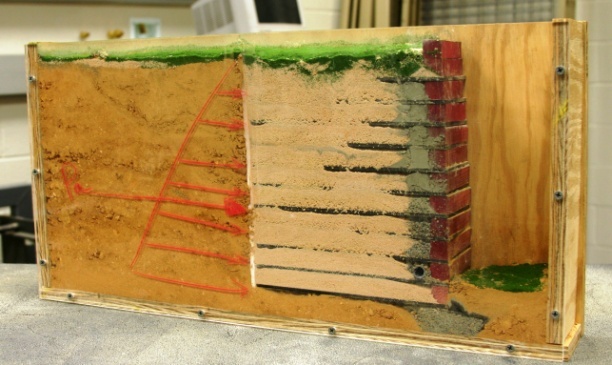 The model is housed inside of a box that has a clear, acrylic front side so that the profile of the structure and the soil behind it can be viewed by the students. As the instructor works an example problem in class, she will utilize a grease pencil on the front of the model to draw the pressure diagram and annotate as needed.